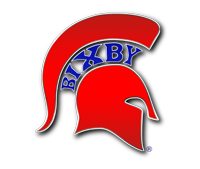 It is the policy of the Bixby Board of Education to select a reputable insurance company through which our patrons may purchase accident insurance for their children. The purchase of such insurance is completely voluntary and is entirely within the discretion of parents. In making this accident insurance available, the school district assumes no obligation or liability as agent or representative of any insurance company or agency. Parents may go tohttp://www.kandkinsurance.com/sites/K12Voluntary/Pages/Home.aspxfor more information regarding accident insurance or download/view the information sheets on this page.